I like the way you can flip through records in a shop and not have to try and read a thin spline with your head turned sideways. 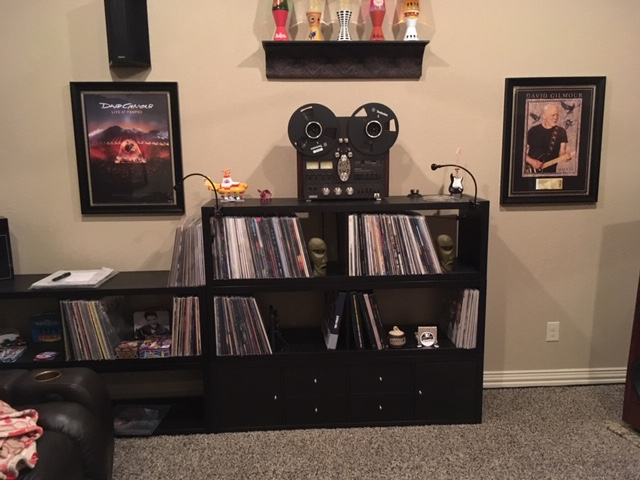 I also like my records up off the floor. 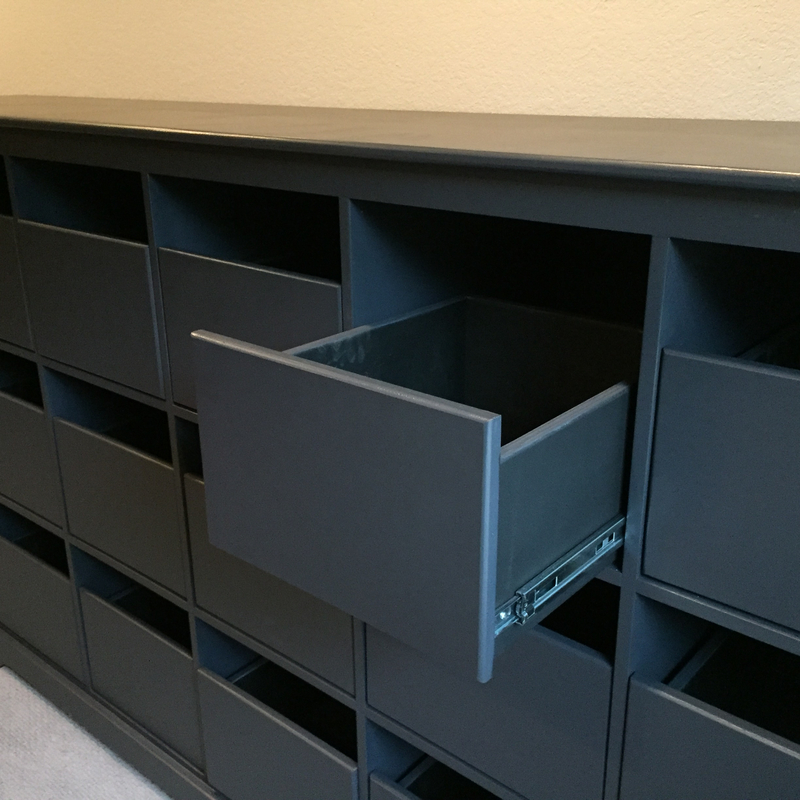 Here's a link to a DIY storage bin that won't break the bank. 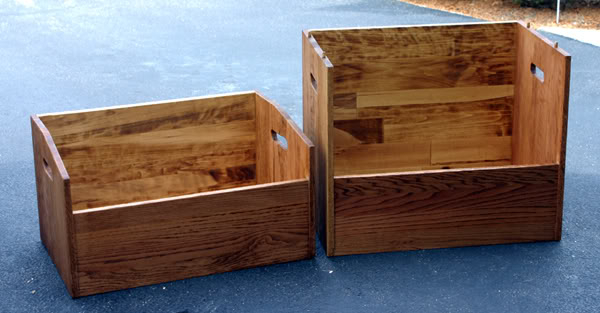 I plan to build a couple of these and with casters on them they can go anywhere easily. I hope posting a link to another forum is OK? 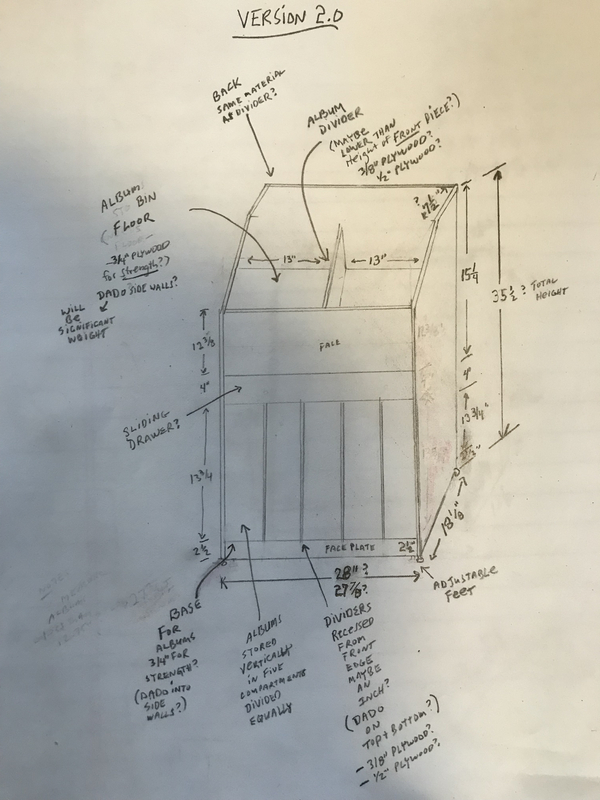 I came across this plan some time ago, and decided to build my own version. It will hold around 400450 LPs. Mike - those are photos of the one you built? Very nice, I like the pipe legs. 400450 LPs?!? Good Gyahd man! You're giving P-man a run! 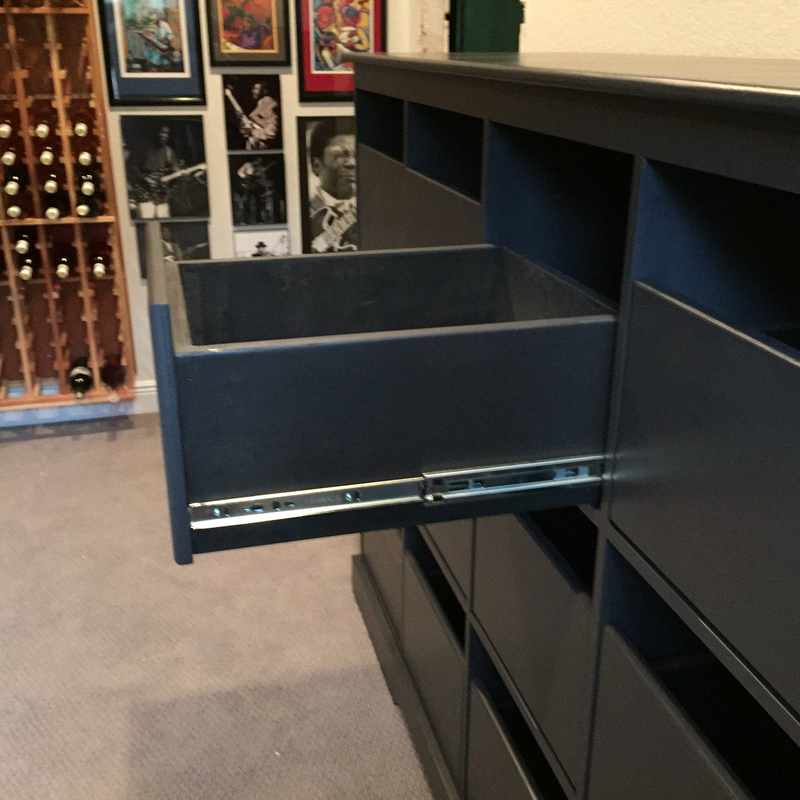 Here’s a photo showing the sliding drawer. I was thinking about doing a thread with the basic plans. Let me know if you have interest. Its on adjustable feet, I originally was gonna use casters but went this way. I did the riser on the bottom last as I wanted it a bit higher after completion. 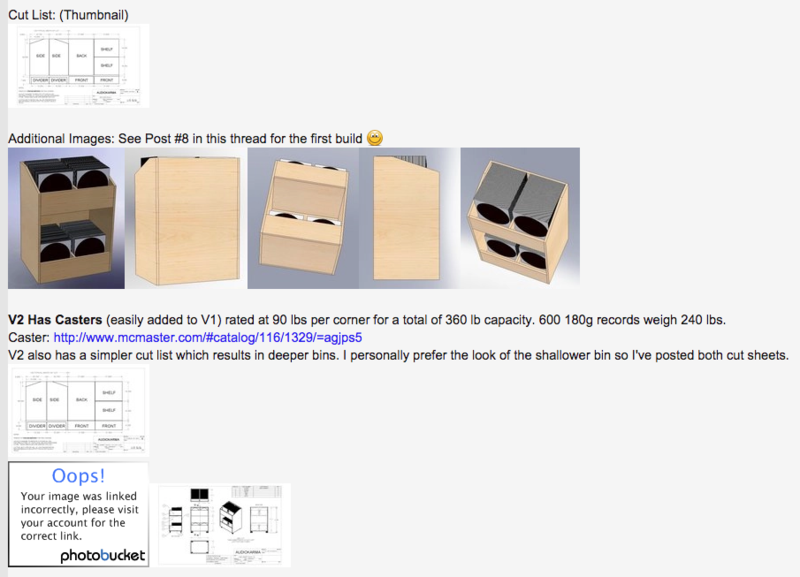 I'd be interested in seeing build/showcase threads on both yours and Mike's plans/builds on these. I drew up a rather rudimentary sketch/plan that I went off, i’ll try to locate it in my well-organized files. Yeah, closing in on a half million LPs. :D I really didn't have any plans, just a couple of sketches that I drew up. They're long gone. Here’s a rough sketch plan I found that I went off. Like I said I did a riser after completion as I wanted it four inches higher. 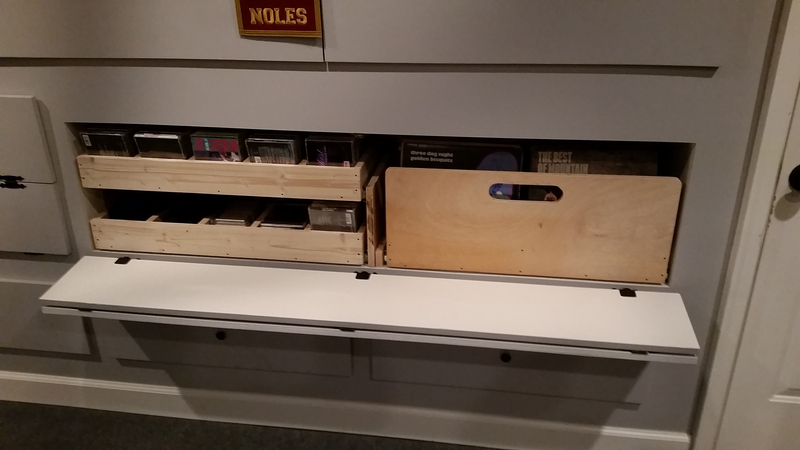 I wanted two record store-type bins on top but also more storage below with dividers. Wow what a great thread. Lots of very nice ideas. It is winter... maybe time for a project. 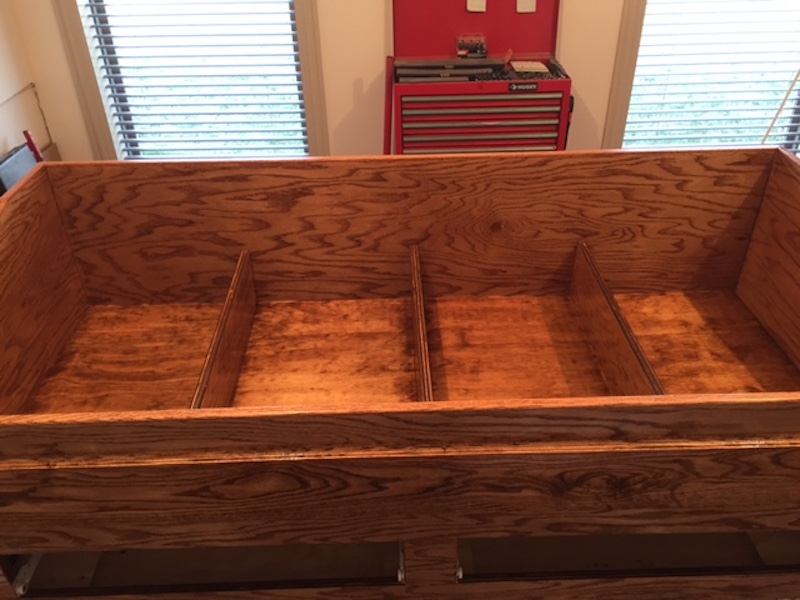 Can you stain plywood and have it look good? Here's one I built into a wall. Here are some shots of my cabinet. 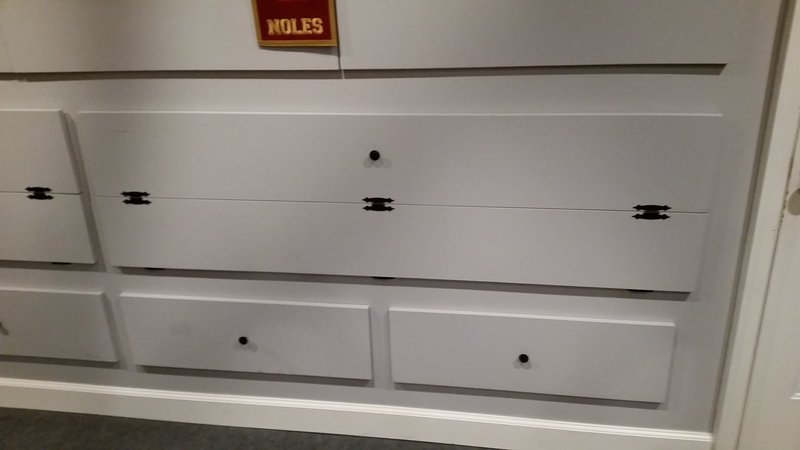 machone and decal, Very nice cabinets you have come up with! Look very functional, great job! And I am all over here like, "My Ikea stuff is fine..."
But then the woodworker in me is all like, "I can do that..."
But then the realist in me is like, "Keep your focus...the basement is almost done!" 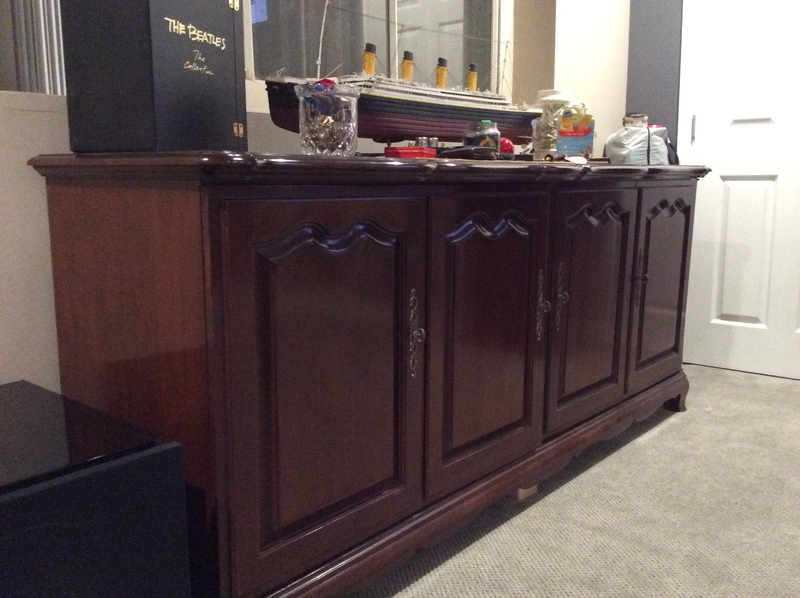 BTW, some gorgeous cabinets here. Nice work all. Lots of ideas for me when the weather warms up. 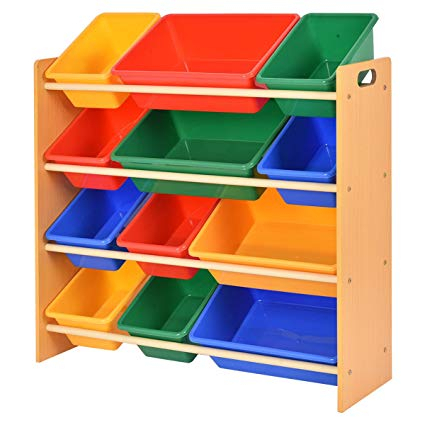 I purchased one of these from Goodwill over the weekend. 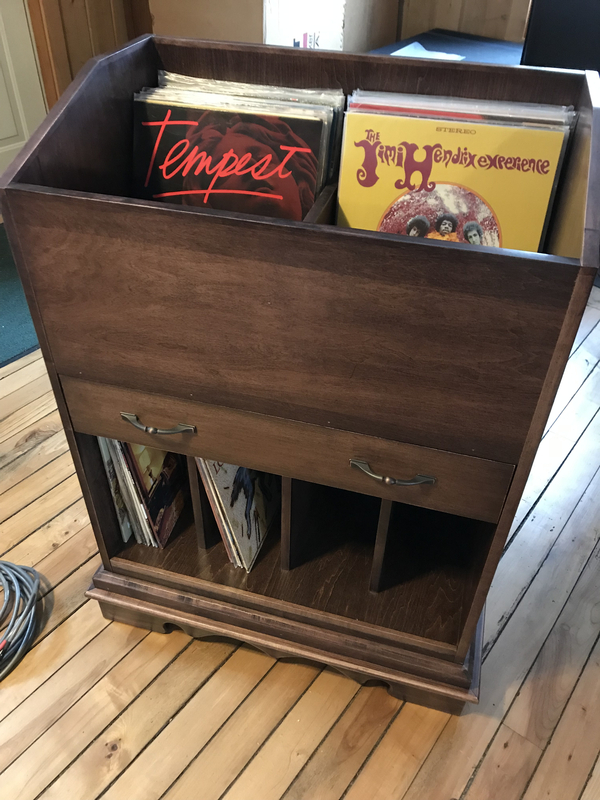 Removed the top and third bars and it holds my vinyl perfectly. Probably going to sand it down and redo the finish but it only cost me about $15. I'm happy with it. Mine are in a wooden crate. Not enough room they are stuffed in there. I am looking for a nice solution as well. That hols enough but not huge and that will compliment the rest of the decor we have going on. 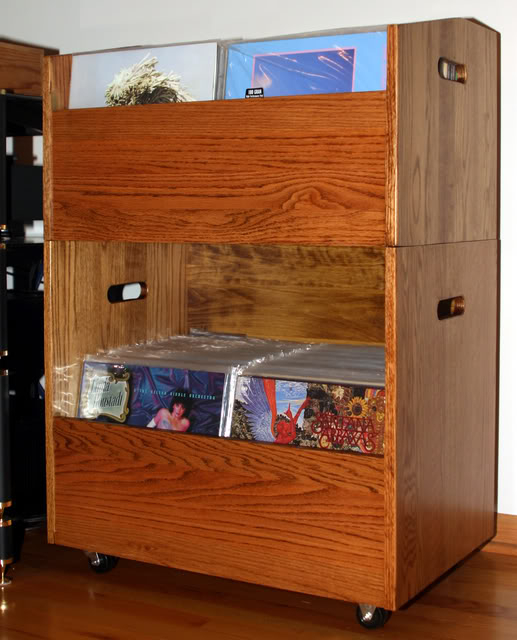 That damn MFSL Beatles box set doesn't store well in anybody's shelf! I really like the pipe legs and the raised panels on the front. I would imagine that improves WAF as well. The Titanic is very nice too. 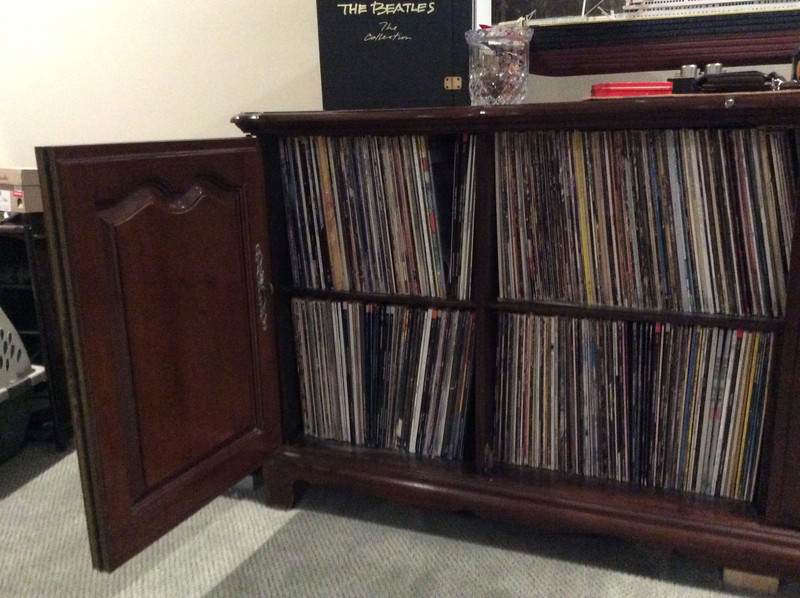 It will hold around 400-450 LPs. Well, lets just say that she "tolerates" my stuff! 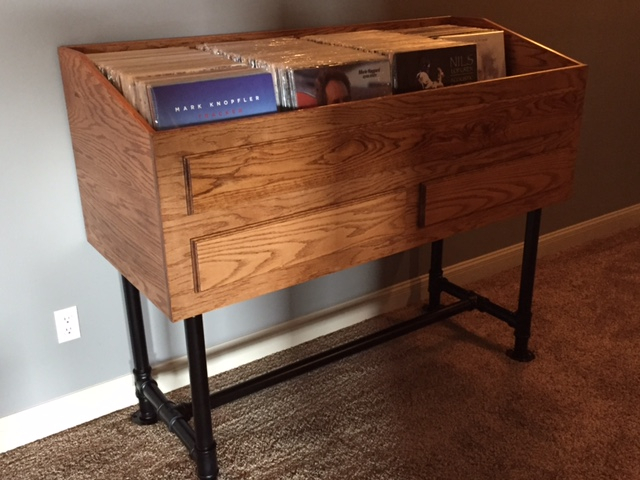 I wanted something very sturdy, between two full sheets of 3/4" material and around 450 lp's, it a substantial amount of weight. I had the Iron Pipe cut/threaded at our local ACE Hardware, the cost of the fittings were about as much as the pipe. But, it's stout. 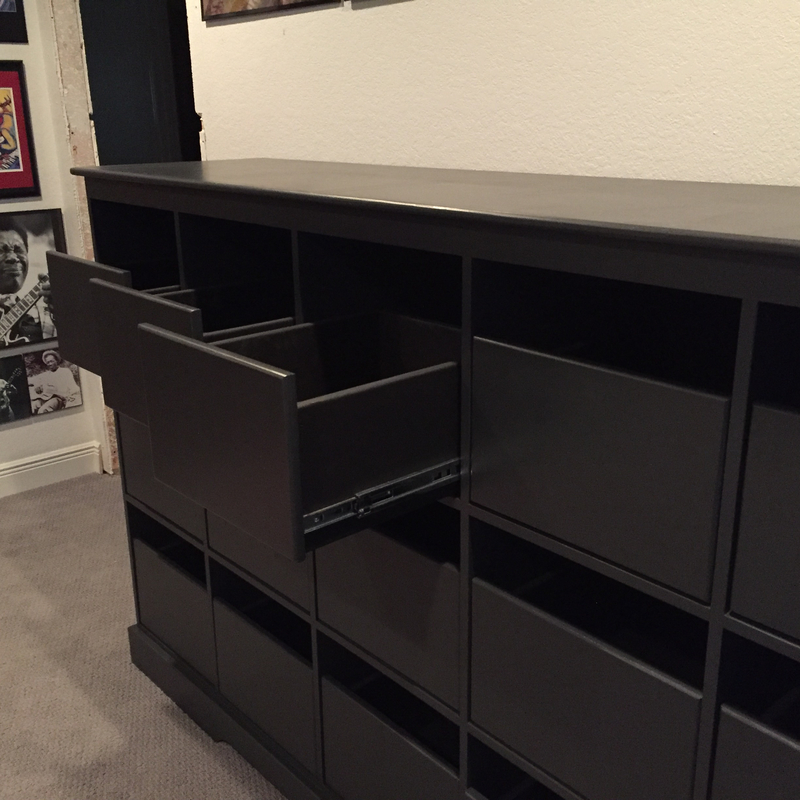 The upper raised panel is for looks, the two lower ones are drawers. 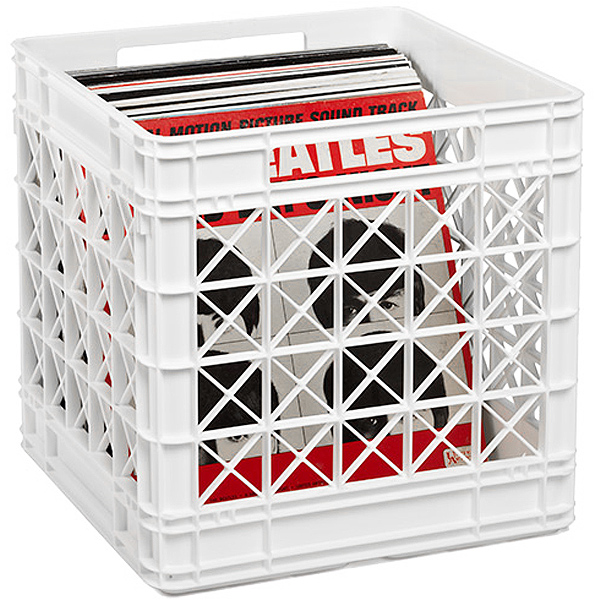 This is what I am using for record storage. 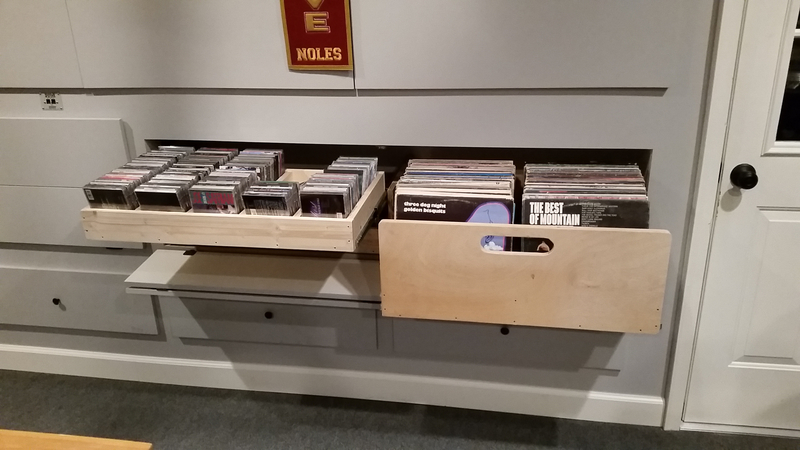 I would like to do something different, working on plans to remodel room, which will include built-in record storage. 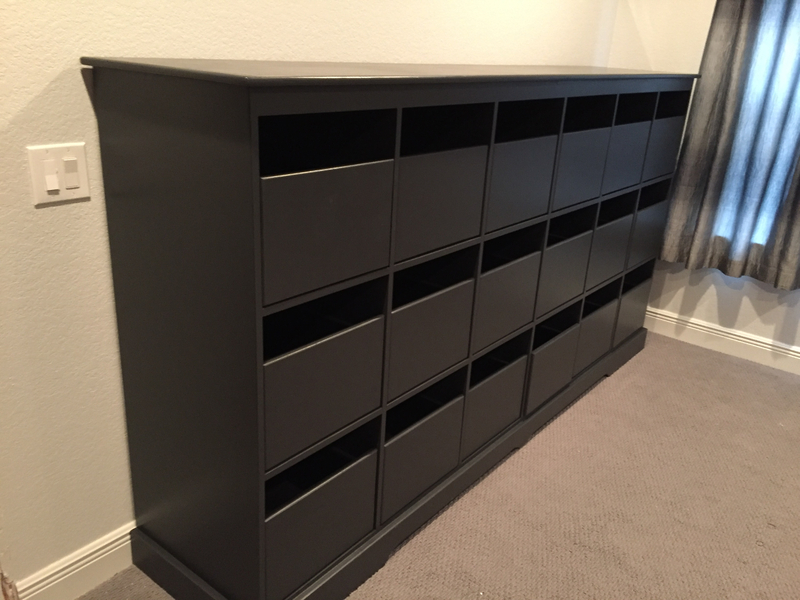 These are from Ikea. They are actually 5 separate units turned on their side and stacked on top of each other. Very functional. Say what you will about 'IKEA' but they do make useful items. My wife is somewhat obsessed with their cabinets. We use their vanity cabinets & kitchen cabinets all through our home. @tratliff Loving that 'Lava Lamp' collection. @tratliff Loving that 'Lava Lamp' collection. I collect different Beatles memorabilia. Those are all Beatles related. I mounted them on the mantel because the house was designed for a flat screen to be mounted on that wall. So power is behind the mantel controlled by a remote. Covers the outlet and cable connection. 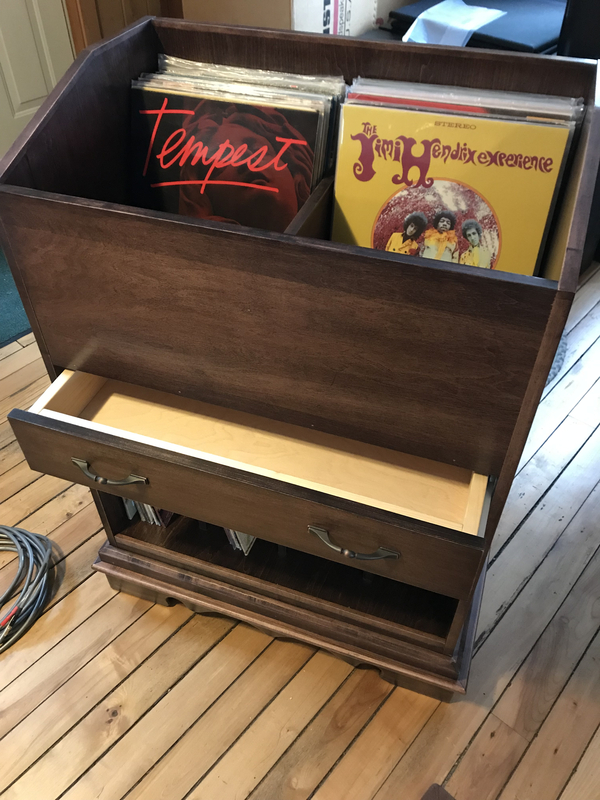 Having a cabinet maker friend of mine build a 'mid century' style console for some of my equipment and records. It will be in the living room so must pass the WAF. Have been wanting to delve into the 'reel to reel' world a little. Most R2R equipment doesn't lend itself well to console's unless built in. @tratliff where do you find your R2R media? @tratliff where do you find your R2R media? My collection is very limited. Mostly from personal recordings and my dad. The Tape Project is a source of high quality pre-recorded tapes. But they are expensive. I thought my vinyl was pricy. The tapes are in another category.